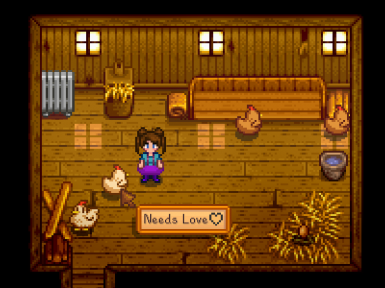 Adds a customize-able mouse hover label (tooltip) to make it easier to see if you have petted a pet or farm animal yet. This mod was a professional collaboration between Advize and myself. Requires SMAPI 0.40.1.1 or later. 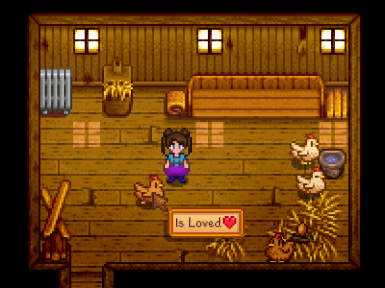 It adds a tooltip label near your cursor when you mouse-over a pet or farm animal letting you know if they have been petted or not. You can customize the text that the label uses in the config file. Download Here on the Nexus (just click the file name or "download manually". Ensure you are using SMAPI 0.40.1.1 or above. Just start your game using StardewModdingAPI.exe, the config file will be created when you first load up the game. 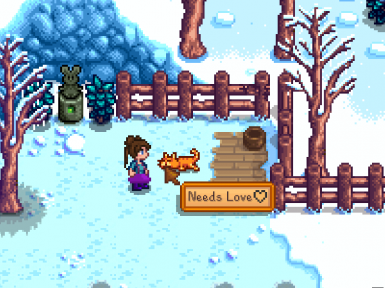 "NeedsToBePettedLabel": "Needs to be petted"
and you'll see the new labels in game. The initial idea for this was inspired by Orspeeder's Chest Label System mod. Also, thank you to Legiion/TheCatMan of NPC Gift Taste Helper for helping Jinxie gain a better understanding of using custom assets. 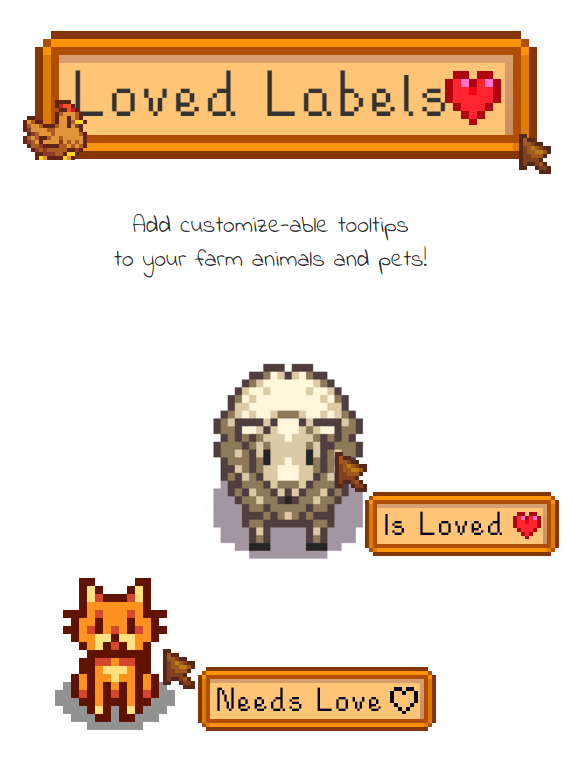 Re-designed how pet labels work. 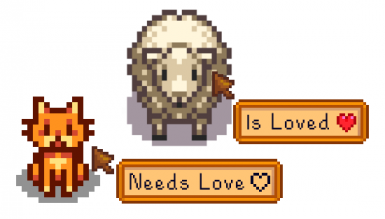 Labels should correctly display whether you've pet your pet(s) that day.